Elephant In The Room (EiTR) is to encourage dialogue and improved access to the arts, culture and music. Bridging the communication gap between the venues/organisations and the Disabled/Deaf/Neurodiversity/Chronic Illness communities. Find out more here. 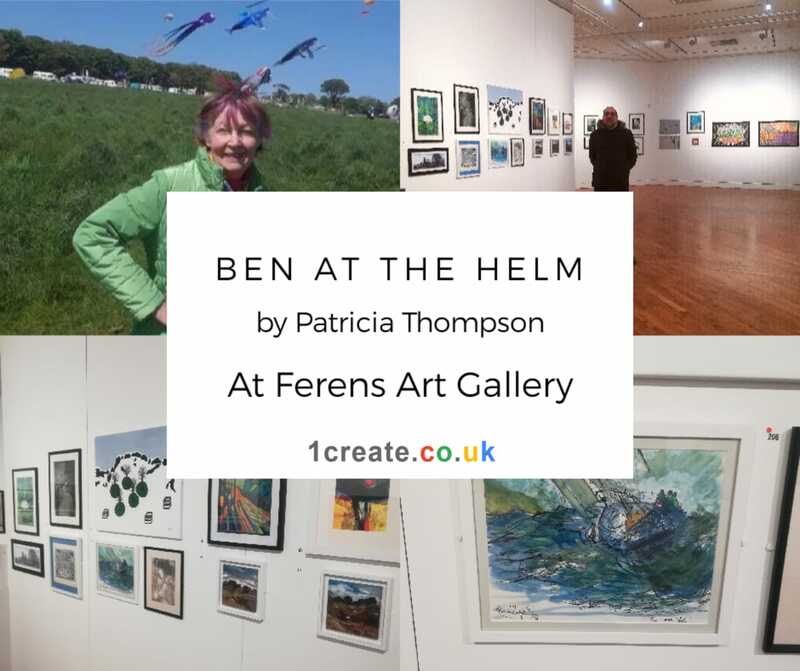 Fine Art artist Patricia Thompson was chosen to exhibit her work in the prestigious Ferens Art Gallery as part of the 2019 Open Art Exhibition. 1create founding member Paul Fredrick paid a visit to the exhibition to see this years entrants and to show our support for fellow 1creator Patricia Thompson. It was a great experience visiting the Ferens’ 2019 Open Art Exhibition in Hull. I was greeted by the friendly City of Culture volunteers who guided me through the Galleries and into to the open exhibition. The work on display was outstanding and a real treat to the eye. I could see why. Great details and the piece really stood out to me. I would like to congratulate every artist who were fortunate enough to have their art on display and I’m looking forward to visiting the Ferens Art Gallery again in the future.